Oops. Did the IRS Send Capitol Hill Staff the Wrong Tax Form? A Republican senator on Wednesday dug in his heels further in opposition to confirming Beth Cobert as director of the Office of Personnel Management, reiterating his criticisms of OPM’s role in allowing congressional offices to sidestep an Obamacare provision that requires lawmakers and their staffs to obtain their health insurance on a public exchange. The 2013 rule lets members of Congress and their staffs enroll in the DC Small Business Exchange, which is meant for employers with fewer than 50 people and allows employers to make a contribution toward health care costs. The rule also lets lawmakers designate some staff as “non-official” employees so that they can remain in the Federal Employees Health Benefits Program, which is where they were before the 2010 Affordable Care Act provision took effect. The Louisiana Republican also noted that the House and Senate “though unnamed staff, officially certified in writing that each body employed 45 persons in order to qualify for the DC Small Business Exchange.” This was an “outrageous act of fraud,” he said. The Senate Homeland Security and Governmental Affairs Committee reported out Cobert’s nomination in February, but Vitter said at the time that he would require more information about the Obama administration’s role in allowing what amounted to special treatment for congressional offices under the Affordable Care Act. Cobert was named acting OPM director in July 2015, in the wake of the data breaches that compromised the personal information and sensitive security clearance data of more than 21 million current and former federal employees. President Obama in November 2015 nominated her to take over permanently as director. 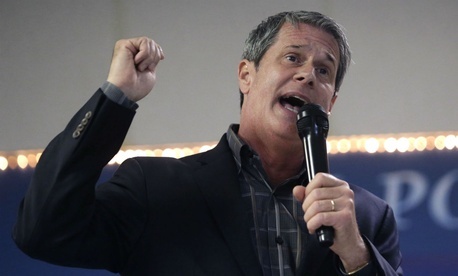 In addition to Vitter’s hold, Cobert’s eligibility for the job was called into question by former OPM Inspector General Patrick McFarland in February, just before he stepped down, due to language in the 1998 Federal Vacancies Reform Act as interpreted by the Supreme Court last August in its ruling in SW General Inc. v. National Labor Relations Board. Lawmakers did not appear too concerned about that allegation, however. “The administration’s failure to follow the law when appointing officials to management positions at OPM doesn’t change my evaluation of Ms. Cobert’s qualifications to be the next director of the agency,” said Sen. Ron Johnson, R-Wis., chairman of the Homeland Security and Governmental Affairs Committee, at the time.